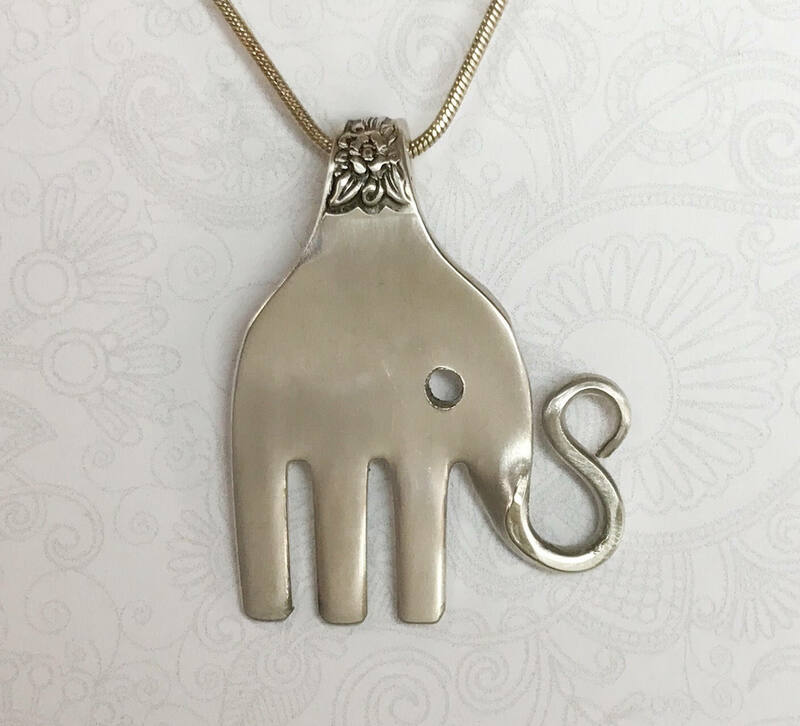 This elephant fork necklace was crafted from a vintage silverplate fork in the 'Jubilee' pattern from 1953. You can see the flowers unique to this pattern on the bail. 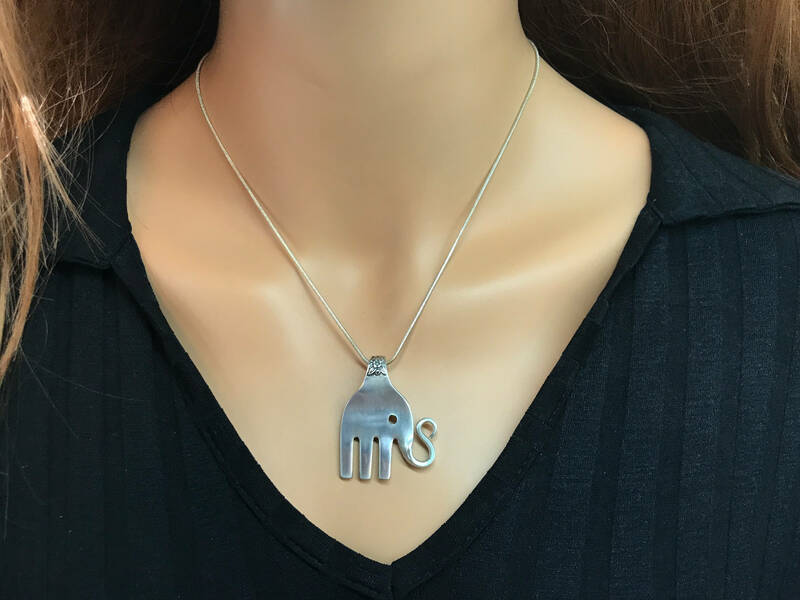 It measures 1.5" from top to toes, and is shown suspended on an 18" snake chain with a lobster clasp closure. If you'd like a different chain length, just choose your favorite length from the dropdown menu at checkout. This would be a great gift for the elephant lover in your life, or maybe that elephant enthusiast is you? 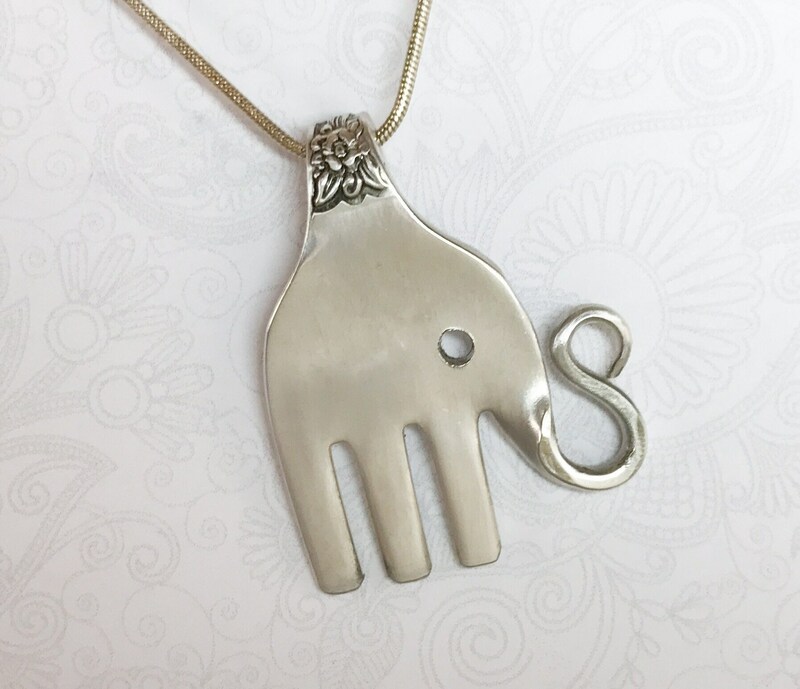 Your elephant necklace will arrive festively packaged; along with the pattern name/age of the fork, and a Spoonfest Jewelry story card.